2.It is a racist act against the Kurds. 3.Maintaining Turkish genocide of Kurds since 1921. 4.It is an attempt to restore the Ottomans Empire with its bloody and darkness history. 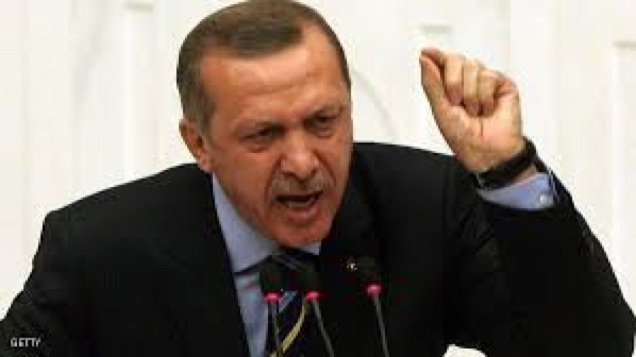 5.To cover his (Erdogan) involvement in supporting ISIS in Iraq & Syria, and the terrorist’s groups in Libya & Egypt. 6.To cover his involvement in laundering billions of dollars on behalf of Iran through Reza Zarrab. 7.To cover the involvement of his son-in-law, Berat Albayrak - minister of oil, connection to ISIS operation, smuggling oil into Turkey. 8.In December 2015, Russia’s defense ministry declared that they have proof that Turkish President Erdogan and his family were benefiting from the illegal smuggling of oil from Islamic State-held territory in Syria and Iraq. 9.Erdogan’s Son Bilal was under investigation in Italy for money laundering, in connection with the 2013 corruption scandal. 10.Swedish lawmakers sue Erdogan for ‘War Crimes’. 11.A group of German lawmakers and rights activists filed a civil lawsuit against Erdogan for alleged "War Crimes" committed in ongoing military operations in the Kurdish populated southeast of the country “where Kurdish residents were burned alive by the Turkish military”. 12.The congressmen at the subcommittee hearing went on to say that President Erdogan should never be allowed to visit the United States again.